The Maksutov-Cassegrain are the ideal choice for people looking for a compact and easy to use telescope (collimation is very simple) but that offers increased performance, particularly at high magnification. So this telescope is ideal for planetary observation and photography (Solar System planets or Moon) where it's important that the image keeps the highest contrast at high magnifications (in order to record the smallest details). 3 years of warranty! 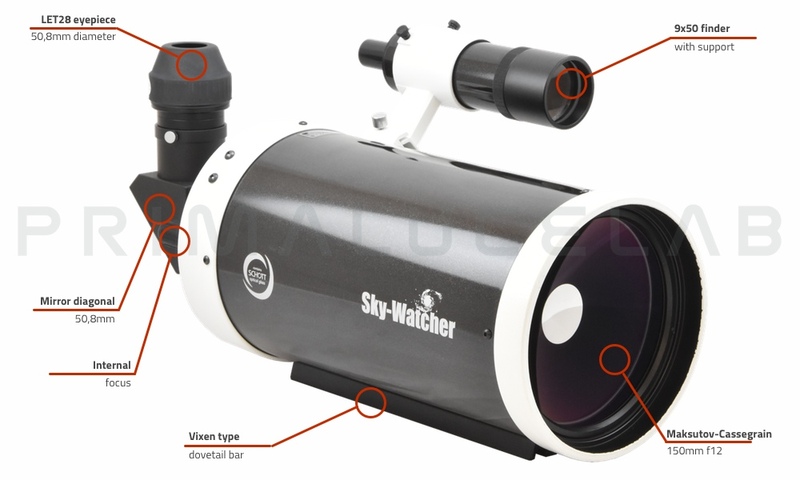 The SkyWatcher MAK150PRO offers these features in a compact and lightweight telescope, easy to install even on EQ5 type mounts. Everything at a really low price! 3 years of warranty! This powerful yet compact 150mm diameter Maksutov-Cassegrain telescope provides excellent performance at high resolution at a low price! 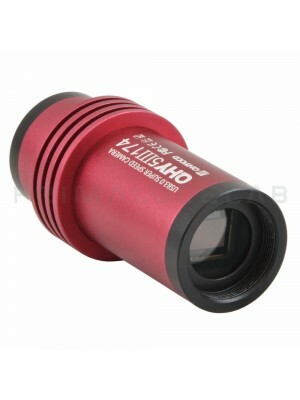 The unique optical design offers the best performance in planetary observation and photography, where you need to generate high magnification maintaining as high contrast as possible. 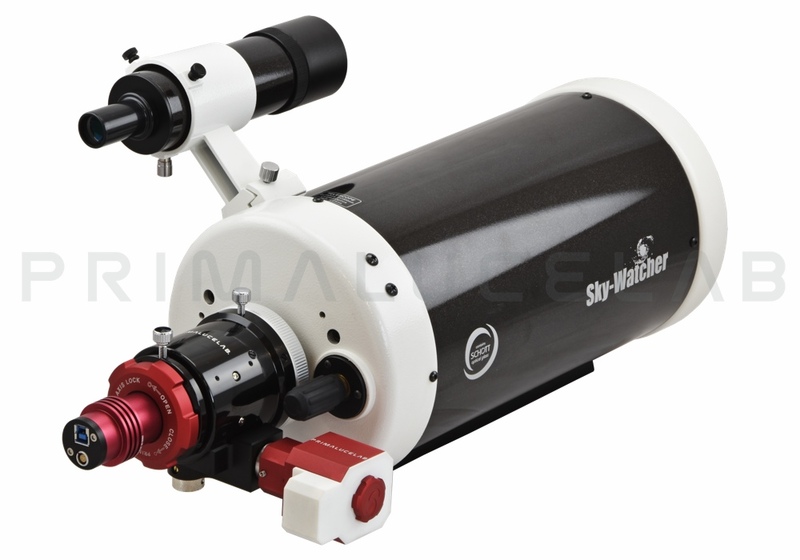 The planets and the Moon show many fine details, but you can also use this Skywatcher MAK150PRO for observing deep-sky objects, the stars will look truly like pinholes ! The SkyWatcher MAK150PRO Maksutov-Cassegrainis the ideal instrument for planetary and lunar photography since it offers a small secondary mirror and therefore a low obstruction. Moreover, thanks to the long focal length (1800mm), you simply need a 2-3x Barlow lens to get, using any planetary camera, an amazing magnification with incredible images on the screen of your computer. Need more? The SkyWatcher Black Diamond 80 ED telescope can be enhanced with our complete line of accessories for astrophotography: in the picture above (advised setup for planetary photography), with Hybrid-Drive focuser for SC, SestoSenso focuser electronic controller, OnAxisLock 31,8mm adapter and QHY5III174 monochrome CCD camera.